The Church of St. John the Apostle is the Parish Church of Sheepscombe, Gloucestershire. The village lies in and along the steepsided, tree lined valley of Sheepscombe which opens out towards Painswick village in the west. The village lies between the towns of Stroud to the south, Cheltenham to the north and Gloucester to the west. Our church is known for its a friendly and welcoming ambience and is closely involved in village life. 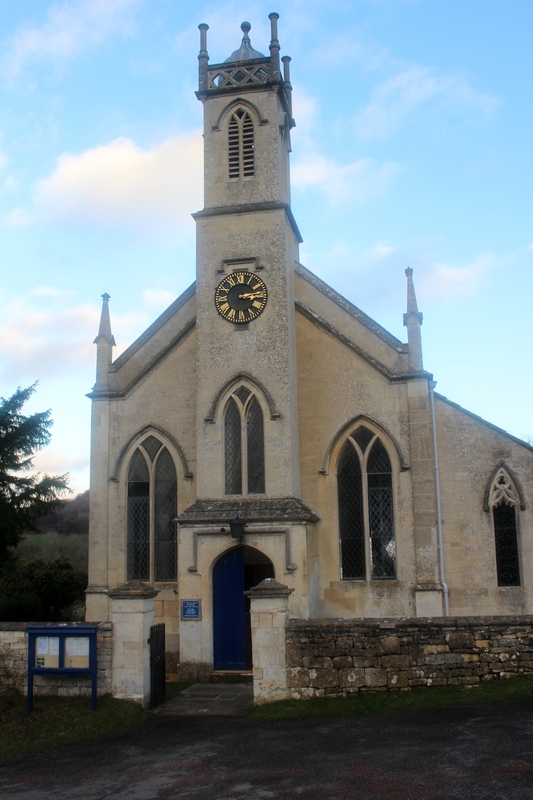 St. John's is part of the Beacon Benefice (https://www.beaconbenefice.org.uk) which consists of the six parishes around Painswick, where the benefice administration office is sited in the grounds of St Mary's([email protected]). The parish belongs to the Stroud Deanery and the Diocese of Gloucester. A booklet about the Church, "The Church of St John the Apostle" by Elisabeth Skinner is available at 50p in the church or from David Swinson, 01452814811.